Most parents have lots of questions and concerns about their children's oral health. Here, we share all sorts of useful tips and insights that will keep you informed about your kids' dental health. Here are some helpful tips from our Burnaby children's dentists on how to keep your teens' smiles healthy. Setting up a reward system by using a countdown to brushing calendar is a great way to encourage your kids to stay consistent when it comes to brushing and flossing their teeth! With this fun Sesame Street Video, your kids can brush their teeth with Elmo and some of his special friends, too! Here are a few ideas to try if you’re in a bit of a rut when it comes to including oral health-friendly snacks to your child’s lunchbox. 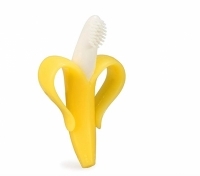 From fun (or maybe a bit silly) tooth-themed items to helpful oral hygiene tools, here's Smile Town North Delta's favourite tooth-themed, kid-friendly products available right now on Amazon.ca. If your baby is in the midst of teething, it may feel like nothing seems to help ease their discomfort. If you’ve tried everything else, here are a few unusual tips that could help get your family through this tough time. The toothpaste you recognize in the pharmacy today is very different from what people used to use to clean their teeth. Here are just a few of the weird ingredients that were once in toothpaste that you can share with your child! You Think It’s Easy Being the Tooth Fairy? 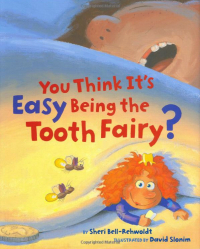 By Sheri Bell-Rehwoldt is the essential guide for every kid who loses a tooth! Sugar is one of the main culprits when it comes to tooth decay, and many of us try to avoid it for that reason. But sugar is sometimes hidden in certain packaged foods that you may not expect – here’s how to identify it. It happens to the best of us – occasionally, we all have less than pleasant smells coming out of our mouths! This is true for children as well. Learn about the causes of bad breath in children, and how it can be prevented. Ideally, your child should begin visiting the dentist every 6 months starting at the eruption of the first tooth. Here’s what to expect from the first dental cleaning. It is perfectly fine to allow treats as part of your children's diet – in moderation. With good oral hygiene, the occasional treat is not a problem, even for kids with braces! Children and teens need to floss regularly to keep their teeth and gums healthy. Fossing can be tricky and a bit cumbersome though, and young children in particular may struggle to properly manipulate the floss. Here are some ideas to help make flossing easier for kids and teens. 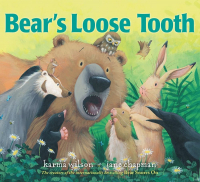 In the Karma Wilson's book, Bear's Loose Tooth, Bear discovers he has a loose tooth and feels a little worried about it! Good thing his friends are there to help him remain calm. Puberty gingivitis is a relatively easily preventable type of gingivitis in children. This oral disease is very similar to that in adults. For parents or teachers looking for a fun, hands on experiment to teach kids about dental health and facilitate discussion about the importance of oral hygiene, here’s a quick and easy idea using eggs! It’s one thing to teach children brushing and flossing techniques, and another to actually help them develop healthy oral hygiene habits. Here are some tips and ideas for helping your children develop a healthy dental hygiene routine. Whether your child uses a night mouth guard to prevent teeth grinding during sleep, or a sports mouth guard to protect her teeth and jaw during athletic activity, it’s very important to keep it clean! For a a couple of important reasons, our North Delta children's dentists advise against using teeth whitening products for children. Sugar can be bad news when it comes to oral health, and it should be consumed in moderation to avoid cavities. But that doesn't mean you have to neglect your sweet tooth! Try these 5 low-sugar sweet treats instead. Whether you're considering a manual or electric toothbrush for your child, this guide from our North Delta children's dentists should help get you started!